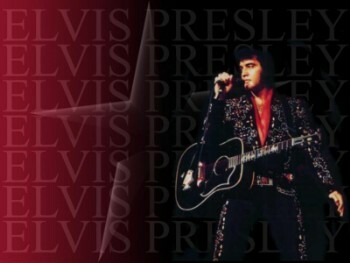 WHAT IS AN ELVIS TRIBUTE ARTIST ? An Elvis Tribute Artist (ETA) is someone who first and foremost is a devoted Elvis fan! Someone who has a sense of keeping the image and the magic alive. Willing to take a back seat to the greatest entertainer of the 20th century, so that a new generation of fans can get a feel for what it was like to be at a live Elvis Concert ! Dedicated to doing whatever it takes, whatever it costs, with little or no financial reward, just to be "out there" rocking 'n' rolling across stage, standing-in for the King so that his fans can touch him once again around the flood-lights !